I just want to thank you all for your comments and stories. I have a similar story. I retired January of this year. I could not wait. I had a heart attack scare in October and never returned to work. But since the heart issues; I have gained 15 pounds; had knee surgery in February where the doctor stated I would be up and around in just a few days; here it is May and I am just still in therapy and have gained another 10 pounds; the death of my closest brother in law in March and the death of a grandchild in April. Through it all I have been dwelling on my financial situation, my weight (can't fit any of my clothes). My husband of three years left me and my retirement won't seem to sustain my life style. I have been completely depressed day after day, deeper and deeper into depression. I lay around the house in tears, won't clean up. I have family about 100 miles away but I did not want them to know how I feel. I went to visit one of my sons' and his family laying on the sofa for almost two weeks; only getting up right before the children got home from school to ensure I was presentable when they got home. My return home greeted me with more issues. I had to stop and pray. My sister called and said she was coming over for a few days. It has been a slow process but I got up and cleaned up began to feel better. I had a great visit with her. I went back home with her and have been improving ever since. I am truly trying to get better. I got a part-time job working two days per week. I shared with some of my family my problems and depression. I am evaluating my budget; eating better (most of the time) and I am learning with the help of much PRAY and DEPENDENCE on GOD that He has my back and will help me in all things. I am still sometimes struggling but I am getting stronger and better. Reading these stories on this website is totally and encouraging source that I will book mark for future reading. I never thought retirement would be like this but life is worth living, we can enjoy it and be happy in it. Oh, I worked 34 years and I am 55 years old. I will keep all in my prayers. thanks again. Wendy: Celeste -- I am glad you are back on your feet again, prayer DOES work! I had the opposite experience with retirement, loved it from Day One... and I hope I can daily share that with someone. There IS life beyond retirement... we just gotta "get there" mentally! 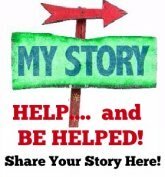 I pray you will help others on this site. You said you bookmarked it, I hope so! As I post new retirement depression stories, please give them some of your encouragement, and hope! This retirement story was moved Depressed one week into retirement. In this way, it can receive it's own comments and help from retirees. I took early retirement, I have not for one day regretted it. My husband also took early retirement. The first couple years we traveled some, but since them it has mostly just been in our own state. We both love the out of doors, so try to camp at least once a year. We find we are busier now than when we were working, never do we find there is not something to do. My husband has a nursing home ministry, so we are busy with that several times a month. We go to bible study once a week, I go to ladies community luncheon once a month. The men from our church meet once a week at a local truck stop for breakfast or just coffee and fellowship. I have just finished coordinating our church cookbook. No we never have found there isn't anything to do, in fact there are times we don't have the time to do all we would like to do. I also love to do crafts, and sometimes will sell in a local bazaar. Our church keeps us plenty busy if we need something to do. I am sure you will find more to do than you can handle alone. Celeste, I feel for you, life can be tough, but you are on the right track. Prayer and some part-time work or volunteering are great to keep yourself busy. Take care and all the Best. A.